Walk through a forest and what do you see? Through leaf litter and mud, greens and grays, and noisy birds, a forest might seem a confusing, if beautiful, mess. Forests are complex systems, made up of hundreds and thousands of bits – of trees, leaves, birds, insects and more of different shapes and sizes – that interact, change and adapt. 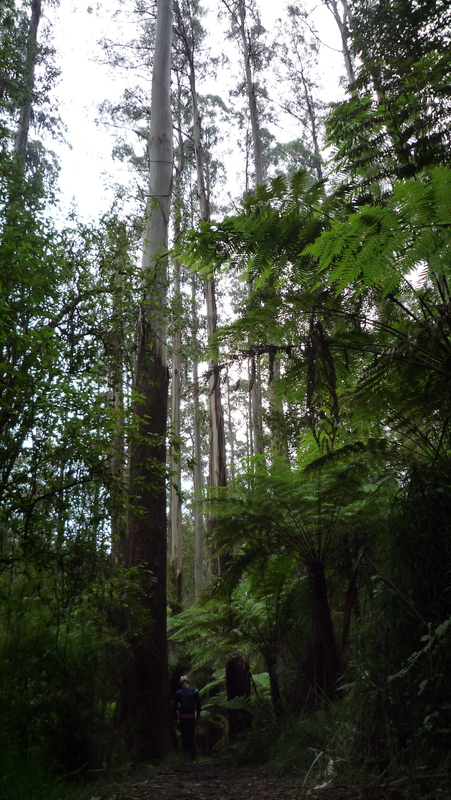 Forests are also valuable to humankind for a range of reasons. So, where to begin if we want to make sense of these systems – if we want to understand why a forest is as it is and to predict how it may change in the future? 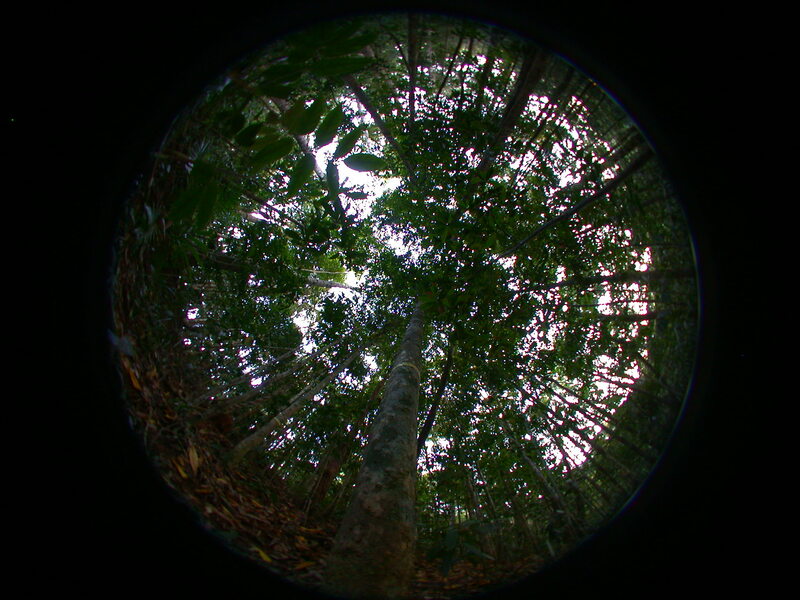 Ecologists have embraced the challenge of making sense of biological systems; for instance, to understand why a forest looks the way that it does, to understand how properties of plants scale up to affect properties of a whole forest like its rates of growth, nutrient cycling and carbon storage, and to predict how these properties of forests will respond to climate change. There are many ways an ecologist may view a forest; this includes describing its physical structure and tallying up its number of species. Another way is through traits – properties of a forest’s components, like the size of seeds, density of wood or type of leaves of individual plants, rather than those components’ identities. In essence, the trait-based approach is about capturing meaningful similarities and differences in how organisms look and function, and linking these traits to properties of the entire forest. These trait-based approaches have entered the realm of “Big Data” analysis and are the focus of much recent research. Starting with an individual plant: Viewed in one way, all plants are broadly similar. All* use the same four resources – light, water, nutrients and carbon dioxide – in the same biochemical formulas – photosynthesis and respiration – to perform the same tasks – survival, growth and reproduction. But, look out the window and this shared recipe might seem deceptive. Compare an oak with a dandelion: plants exhibit tremendous variation in how they look and this variation is entwined with differences in how they capture, use and keep the same set of resources. Further, shifts in how plants look and function may occur among and within species determined by a plant’s age, genes and the environment in which it grows. Even different parts of the same plant may vary in how they look and function, such as a leaf at the top of a tree that is exposed to sun compared with a leaf stuck in the shade. And, these differences may be important. These differences influence how fast different plants grow and how well they grow with others. Such differences also flow through to affect properties of the whole forest like which species dominate, how many species coexist – analogous to the maintenance of diversity in products in the aisle of a liquor store – and how the forest functions. Traits may help to find patterns and order amid the different forms and functions of plants. It turns out that some of the major differences among plants in resource dynamics can be captured in just a few, feasible-to-measure traits that can be measured in a comparable way on all (or most) plants. These include the ratio of leaf mass to leaf area – this is a measure of the thickness or density of leaves and reflects the carbon invested per area – and the concentration of nitrogen in leaves – a large portion of this nitrogen is bound up in the photosynthetic machinery of a plant and influences how fast a leaf can photosynthesize as well as how attractive it might appear to a herbivore. Further, these traits do not vary independently. When viewed across all plants and environments – from tropical rainforest to arctic tundra and from a tiny, short-lived grass to a towering, long-lived redwood – these leaf traits show some remarkable correlations. For instance, plants with leaves that have a high mass per area (i.e. thick or dense leaves) also tend to have leaves that are longer-lived, less nitrogen and lower maximum rates of photosynthesis and respiration, each per unit weight. Combined, these traits influence the rate of return for a given investment in the infrastructure of a leaf – the carbon and nutrients that it takes to make a leaf. All plants (and their leaves) fall somewhere along the continuum from those with fast to those with slow returns – those that live fast and die young to those that live slow and die old. In short, all plants appear to be following a similar set of rules despite the diversity in their form and function. Coordination of these traits suggests all plants face similar biophysical constraints and trade-offs. For example, a given unit of mass invested as a thin leaf may intercept more light but is less robust so might be damaged more quickly. These coordinated suites of traits may also manifest in other ways, like in details of the intricate networks of veins through which plants transport resources. While these examples – and most research to date – focus on leaves, similar trait correlations have also been proposed that focus within and among other parts of plants involved in resource-acquisition, transport, or structure, such as roots or stems. Moving to a whole forest: By calculating average trait values or the range and diversity of trait values within a forest, traits can serve as a simple and universal currency with which to compare whole communities through space and time – not just the functioning of individual plants. A trait-based perspective may help to reveal how and why different mixtures of species have different properties. The loss of biodiversity and simplification of ecosystems across the world has motivated much research into the role of diversity in communities. One well-established phenomenon is that more diverse communities – that is, mixtures composed of many species – tend to grow more on average than communities composed of a single species. Sometimes mixtures of species will be even more productive than the best performing single species. Such general relationships between the diversity of communities and properties of the whole ecosystem do not stop there. More diverse communities also tend to be more stable and resilient – that is, to fluctuate less and to be better able to recover functional attributes, like rates of biomass production and nutrient cycling, following disturbance. The increased productivity of communities – in an analogous way to economies – may reflect a more efficient or a more complete use of resources. One hypothesis to explain how the diversity of plant species influences the productivity and stability of ecosystems is complementary resource use among species. In other words, the more species there are, the more likely there will be species that either use different resources – since plants all require the same resources, this might be subtle, such as in preferences for different forms of nitrogen – or use resources differently in space or time – such as acquiring nutrients at different depths in the soil or having different photosynthetic demands for light. This is where traits may step in. Given that complementarity reflects differences among species in how they use resources and given that traits reveal how a species uses resources, it follows that the composition or diversity of traits should link with species’ resource complementarity. In short, while counting the number of species may be a good indicator of how biodiversity influences ecosystem functioning, an important mechanistic ingredient of biodiversity might be how different plants are in the way that they function – and therefore, by definition, in their traits. Extracting meaning from the composition and diversity of traits within a forest may seem somewhat simple or intuitive. This hides some key challenges that are the focus of much current research; such as identifying those traits and suites of traits that have the biggest consequences for how plants grow, interact and affect the properties of a forest, and understanding the causes and consequences of patterns of variation in those traits from within a plant to within a species to between species and so on. Nevertheless, a trait-based approach seems to present a promising way to view complex forest systems. In theory, a trait-based approach might allow us to peer beyond the intriguing idiosyncrasies of ecosystems – without losing sight of their complexity – to reveal underlying mechanisms that shape properties of all forests and that may be used to predict how they will change through time. *There are a few exceptions like mycoheterotrophic and holoparasitic plants that take most or all of their carbon and nutrients from other living organisms rather than the air or soil. Laura Williams is a 2011 fellow of the Fulbright Science and Technology Award Program, from Australia, and a PhD candidate in the department of Ecology, Evolution and Behavior at the University of Minnesota. What happens when animals can’t see, smell or hear?